Creating impactful and atmospheric images, combining both an artistic and a journalistic approach to photography, I am a South East based photographer and graphic designer (here is a link to my graphic design site), specialising in corporate and event photography – but I also love landscapes! the aim of fraser allen photography is to provide images that will look great in print or on the web. I have worked in the print industry for over 25 years and consider myself to have a good eye for a photograph. I feel that photography, as an art form, will of course always be subject to the viewers opinion but my hope is that a well composed and thought-out image will rarely fail to please. I won’t go-on about technique and experience, but just ask you to click through the next couple of pages and take a look at some of my images and my blog, I will try and keep these updated and interesting – so keep coming back! Fraser Allen Creative Design is an independent, Kent based graphic design and creative artwork company specialising in design for both print and the web, with over 25 years of experience in the print industry. Fraser Allen Creative Design can help you produce anything from an A5 leaflet advertising a local event right up to a glossy magazine or catalogue. Being free of some of the constraints required by larger companies not only means that our overheads are low, but also that you are not ‘just another job’. The personal attention we provide means that we are committed to developing long term working relationships with all our customers. We are very aware just how important it is to keep customers pleased and we want them coming back time and again. At Mercure Maidstone Great Danes Hotel we understand that everyone is unique, which is why we will create a bespoke wedding package to ensure your wedding day lives up to your individual expectations. Arrive in style at the hotel by taking advantage of our onsite helipad, an entrance that your guests will never forget and a perfect photo opportunity. For the rest of your wedding photography, take advantage of our traditional gazebo or winding staircase to capture your memories. The hotel is in a great location for those who have guests travelling from far and wide, so you can ensure that all of your loved ones will be present to witness your special day. From an intimate gathering to an extraordinary affair, whether you dream of a horse and carriage arrival or the ease and peace of mind that comes with celebrating the whole day under one roof, our experienced team is on hand to turn your wedding day dreams into a reality by helping to create the wedding day you’ve always dreamt of. Situated in the heart of the Kent countryside this beautiful 18th century country house hotel with delightful grounds is the ideal venue for your special day. Our hotel has been hosting weddings for many years and is an approved premises for the solemnisation of Civil Marriages and Civil Partnerships. Hadlow Manor is ideally situated as a wedding venue for central Kent. We are 5 miles from Tonbridge, 10 miles from Maidstone and conveniently located for the M20, M25 and M26. The elegant house now looks grander than it has done for many years and our beautiful grounds will ensure stunning backdrops for your photos. 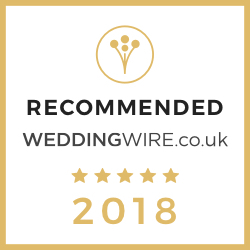 Whether you are planning a small intimate wedding or a much larger celebration, our experienced staff will be able to help and can tailor your wedding day to your exact requirements. Our warm welcome will guarantee that you and all your guests will have a day to remember at Hadlow Manor Hotel, the perfect wedding venue in Kent. Our Wedding Photography is aimed at creating exactly what you want, with well planned, unobtrusive, good humoured photography, working to your budget. We can create a range of albums from Traditional to Photobooks and Story Books. Based in Kent, we regularly cover weddings around the Home Counties of England. Travelling further afield we have photographed weddings around the UK and Europe. Kent's most vibrant, exciting and inspiring wedding exhibitions. For information on forthcoming shows, please click on the bars below. From each event page you may choose to Pre-Register to book your attendance. You may also view a list of exhibitors, find directions to the venue and print a map. Pre-Register now and gain fast-track entrance to avoid the queues! Follow them on facebook for up to date news and offers.